Welcome to the RIVYT page of ODESZA, a Seattle-based production duo consisting of Catacombkid and BeachesBeaches. 'A Moment Apart' remixes now available. ODESZA live at Metro Theatre in Sydney Australia on April 20th, 2016. Tickets for remaining shows on the 2016 Australia Tour available at http://odesza.com/shows Music: ZHU - "Faded (ODESZA Remix)" Directed by Kusanagi, Filmed by Clay Fisher & Cody Lewis, Edited by Rosanne Zappavigna. Directed by Sean Kusanagi Filmmaker and 'In Return' contributor Sean Kusanagi joined ODESZA in their hometown of Seattle to document two sold out shows, the daily grind of tour life, and a look into the musical motivation behind the prolific duo. ODESZA wrapped up a sold out North American tour with two nights at The Showbox before heading to Europe. 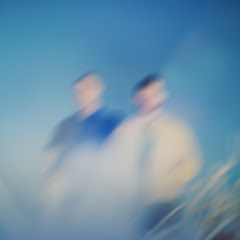 Download our official app here: http://ODESZA.co/app See all ODESZA 2014/15 Tour Dates at http://odesza.com/shows 'In Return' available on iTunes at http://odesza.co/inreturnitunes Music: 0:05 - ODESZA - "iPlayYouListen" 2:00 - Beat Connection - "Saola (ODESZA Remix)" 4:10 - ODESZA - "Say My Name (feat. Zyra)" 7:00 - ODESZA - "Without You" 7:10 - ODESZA - "My Friends Never Die"
A Moment Apart cover art shirt featuring oversized cover print and select titles from the album on the front. Plain black back. Available in sizes XS-2X. This black zip hoodie features the icosahedron logo on the left chest, and a new geometric design on the back that incorporates the Icosahedron. Available in sizes XS - 2X. This women's fit tank features original 'A Moment Apart' art in a gold and blue print. Available in sizes S-L.